It’s summer and the improvements keep coming! Office for Android phone is here, the Wunderlist app is now part of Microsoft, and Office Online, OneNote, and Office Mix are better than ever. For business users there are new Box integrations and a new Office 365 web experience, and admins now have a better way to stay informed during service incidents, plus workload-specific control over data access. Security and compliance updates include the new Exchange Online Advanced Threat Protection plan, Compliance Search, RMS departmental templates, and new capabilities for Outlook on iOS and Android. Educators now have easy access to OneNote Class Notebooks, and Office Mix for online lessons now supports LTI and is integrated with LMS providers. There’s lots of news for developers too—from documentation and code samples to podcasts. Leave us a comment to let us know what your favorite new feature is. If you missed last month’s updates, see What’s new: May 2015. Office for Android phone is here—The new Word, Excel and PowerPoint apps for Android phone have arrived! Review and edit documents on the go, present from your phone, and quickly find the files you were working on in the office or on your tablet. Access files stored in OneDrive, Dropbox, Google Drive and Box. You can download the apps today, and soon they’ll come preloaded on Samsung, Sony, LG and more Android phones. Wunderlist now part of Microsoft—Microsoft recently acquired Wunderlist, the market-leading to-do list app. Known for its ease of use and innovative design, Wunderlist provides an easy way to capture, organize and collaborate on lists and to-dos—for home, school and work. It’s a fantastic app and it’s available on iPhone, iPad, Apple Watch, Mac, Android, Windows Phone, Windows and the web. Easier formatting and viewing in Office Online—Polishing documents and illustrations in Office Online is easier than ever. Format text fast with the new autocorrect features and Format Painter in Word Online. Object formatting updates in PowerPoint Online make it easy to select, move, resize and delete objects, align objects with content, and create, edit and format tables in a browser. Viewing updates enhance your use of Word Online and PowerPoint Online across a wide range of devices. OneNote for iPhone and iPad—better, faster, touchier—Updates to lists on iPhone include larger checkboxes, checking an item to move it to the Completed folder, and more improvements you asked for. You can now view equations on your iPhone, and on your iPad, you can view and edit equations. Also on your iPad, you can now add ruled or grid lines to OneNote pages. And with the simplified iOS and Mac sign-up experience, you can easily share notebooks with friends, family, classmates and colleagues. Office Mix interactive tutorials—Learn how to use Office Mix the easy way. When you install the Office Mix add-in and open PowerPoint for the first time, an interactive panel opens that gives you the option to create your first mix, which opens the Getting Started template, or to play a video tutorial—What is Office Mix, Screen Recording, or Publish and Share. The panel is resizable and can be undocked, so you can move to split-screen mode and follow in step with the tutorial’s instructions. Sway apps now on more platforms and devices—Sway for iPad is available for download now in the App Store, as is an updated version of Sway for iPhone, which makes it easier to add pictures, videos and text to your Sways and preview your creations. Sway for iPad and iPhone now support Office 365 work and school credentials, plus more languages. And this summer, Sway for Windows 10 is coming! Office for Android phone is here—The new Word, Excel and PowerPoint apps for Android phone have arrived! Review and edit documents on the go, present from your phone, and quickly find the files you were working on in the office or on your tablet. Access files stored in OneDrive, Dropbox, Google Drive and Box. You can download the apps today, and soon they’ll come preloaded on Samsung, Sony, LG, and more Android phones. One-click access to third-party apps—You can now launch third-party applications with a single click—right within Office 365, with no admin configuration or additional sign-in. Clicking the app launcher icon takes you to a special version of the Office 365 Store, and from there you can add third-party solutions to your My Apps page. It’s rolling out to Office 365 customers in the First Release program now. New Box integrations with Office Online—New integrations of Box with Office Online help you more easily collaborate with documents and digital content. With the new features you can easily browse, open and edit files with Office Online from Box, create new files in Office Online, and save them back to Box. New user experiences in Office 365 on the web—The Office 365 on the web experience has been updated with quick access to notifications, help and what’s new feature introductions, contextual and immersive settings, and the integration of Skype for Business conversations—all within the context of your work. The new features are rolling out now to those in the First Release program. Office 365 admins can now stay better informed during service incidents—Two new capabilities enable you to receive targeted, actionable communications during service incidents. With the new programmatic access to Office 365 service incident communications, you can receive service incident alerts the way you want. And you can stay informed with the new service incident push notifications with the Office 365 Admin app for Windows Phone, iOS and Android devices—rolling out now for First Release customers. More control over data access with workload-specific admin roles—The ability to assign workload-specific service administrator roles to your organization’s IT administrators for Exchange Online, SharePoint Online, and Skype for Business Online has started rolling out. This ability gives you more control over how your Office 365 administrators access your data. Plus there’s now more flexibility in assigning roles. Exchange Online Advanced Threat Protection (ATP) available—ATP, a new email filtering service that complements Exchange Online Protection (EOP) and provides protection against specific types of advanced threats, is now available for purchase. Introducing Compliance Search in Office 365—There’s now a faster way of searching within your organization’s data in Office 365. Compliance Search is designed for times when the full search case management of eDiscovery search isn’t required. It’s ideal for quick searches, such as searching for specific credit card numbers in SharePoint as part of a Data Loss Prevention (DLP) project. Rights Management Service (RMS) departmental templates now in Office 2013—With departmental templates, a new RMS capability, organizations can define different policies that will be deployed to different departments (or roles) for their use in documents and emails. This capability is now supported in Office 2013. New Exchange Online Protection (EOP) features—Seven new features were added to continue providing security and reliability for your email and a simpler experience for email admins: scheduled EOP reports, domain-based email traffic support, simplified block and allow, quarantined message preview, bulk release, improved backscatter detection with Boomerang, and non-delivery report (NDR) backscatter storm prevention. Enhancing mail flow security for Exchange Online—Protecting your incoming and outgoing emails is a top priority for us, which is why we are always working to improve mail flow encryption. With new security vulnerabilities constantly being uncovered, and communication privacy being in the spotlight now more than ever, we seek to upgrade our service to only use the most secure Transport Layer Security (TLS)-based encryption available. In the last year, we have made several improvements to our service, and your mail has never been more secure. Announcing archiving for non-Microsoft data in Office 365—Today, Office 365 helps customers stay compliant with an archiving solution that covers email, documents in SharePoint and OneDrive for Business, and Skype for Business meetings and conversations. 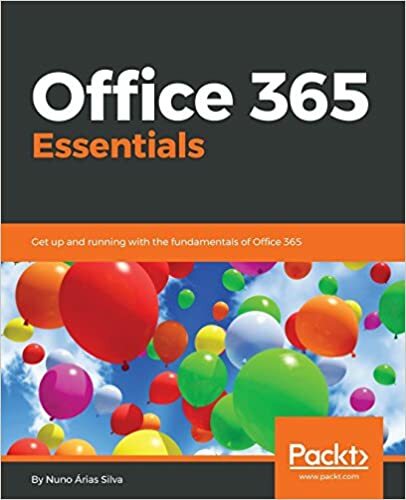 But our customers require and have asked for more—they want Office 365 to provide the same rich archiving capabilities over non-Microsoft data sources, such as social and messaging data, as well. To accommodate customers who require archiving of non-Microsoft data in Office 365, we are pleased to announce new partnerships with two popular vendors in the archiving space: Actiance and Globanet. New Intune capabilities for Outlook on iOS and Android—Customers who use Outlook for iOS and Android can now use built-in mobile device management (MDM) for Office 365 or Microsoft Intune to secure email data on mobile devices within their organization. With this update and the recent updates to enable OAuth and add support for multi-factor authentication, Outlook offers the leading set of controls for protecting corporate email and calendar data on mobile devices. New access and security controls for Outlook for iOS and Android—Outlook now uses Active Directory Authentication Library (ADAL)-based authentication for Exchange Online mailboxes in Office 365. This new authentication method enables IT administrators to configure new access scenarios for sign-in to Office 365 and to better control and manage Outlook on mobile devices in their organization. Updates to Power Query—Improvements were made to the Privacy levels dialog, where users are asked to provide privacy levels for all data sources involved in a query, and also to the Salesforce connectors and the Excel Workbook connector. New text column filters—”Does Not Begin With…” and “Does Not End With…”—were added too. Surface Hub on the way to transform your meetings—Surface Hub, a new large-screen collaboration device that harnesses the power of Windows 10, Skype for Business, Office, OneNote and Windows universal apps, is coming soon. With Skype for Business, Office and OneNote integrated into the operating system, Surface Hub delivers a new set of digital tools to help teams create and brainstorm in a way that’s natural and efficient. Highly scalable archives coming for Office 365 email—Built-in archiving is one of the most popular IT features in Office 365, and to accommodate customers who require very, very large archiving storage, auto-expanding is being added. Auto-expanding allows you to take advantage of a bottomless archive without needing to call support or perform any manual steps. Also, limits on the Recoverable Items store were removed. Resource Engagements—coming soon to Project 2016—Resource Engagements, a new capability in the next update of Project, helps align project managers and resource managers on the amount of work and the time period associated with a project. Resource Engagements is an evolution of Resource Plan in PWA, and all your existing Resource Plan data will be converted to engagements when you activate or upgrade. Office Mix amps the slideshow experience—Deliver personalized presentations or instruction with Office Mix. Its innovative player groups content into scenes organized as PowerPoint slides, which lets viewers skip directly to the content that most interests them. Viewers can also use the slide sorter view to see all the slides together and jump directly to the content they want to watch next. Office Mix provides viewer analytics, too, which authors can use to strengthen their presentations. Check it out for conferences and the classroom. Office Mix supports LTI and is integrated with LMS providers—Office Mix, the free add-in for PowerPoint for creating and sharing interactive online lessons, now supports Learning Tool Interoperability (LTI) and it’s integrated with major Learning Management Systems (LMS) providers. LTI adoption enables McGraw-Hill Education to use Office Mix to provide custom teaching experiences and Cengage Learning to offer an Introductory Computing MindTap pilot integrating Office Mix for fall 2015 classes. LMS integration makes it easy for educators to embed mixes into a wide variety of LMS. OneNote Class Notebooks more accessible and discoverable—Using OneNote Class Notebooks to organize and collaborate with students next school year just got easier. Teachers with Office Education in the U.S. can now create OneNote Class Notebooks right from their Office 365 App Launcher and My Apps page and access them via a simple link with additional resources. Soon the app will be automatically available to teachers with Office 365 Education worldwide. Find out how to check if you’re eligible or sign up to try it for free. Coming soon—new ways to achieve more in your classroom—The first phase of a Preview program has begun for two new Education services—Microsoft Class Dashboard and Microsoft School Information Sync. Both services will be available to Office 365 Education users at no additional charge. Class Dashboard and School Information Sync simplify connections between systems and communication and collaboration between teachers and students. Find out how they can help you save time while engaging students in new ways. An early look at Cortana integration with Office 365—We’re pleased to announce the ability to integrate Cortana in Windows 10 with Office 365 for businesses, available in the latest Windows Insiders preview build. Cortana in Windows 10 will be now able to connect to Office 365 to help you accomplish more at work. You can preview this initial integration between Cortana and Office 365 starting today if your company is opted into First Release for Office 365 and you are enrolled in the Windows Insider Program and running Windows 10 preview bits. Monthly Dev Digest for June—Keep up with what’s new in Office 365 development—read the digest! Get the latest dev news and find out about new and updated documentation, code samples and patterns and practices samples, plus podcasts, blog posts and upcoming events. This month’s digest also includes a shout-out to the winner and runners-up of the Worldwide Partner Conference (WPC) Office and SharePoint Application Development award.